1. Can you farm leads on NextDoor? Almost every real estate agent has “farmed” an area for leads, and you probably have too. There are several ways to farm an area such as door knocking, cold calling, direct mail, post cards, door hangers, and other advertising tactics. The term “farm” is used because you are essentially planting seeds that will eventually grow your contact base. You plant the “seed” or idea of hiring you as their agent, nurture them down your funnel through marketing, and convert them into clients when they are ready to buy or sell a home. The key to farming is consistency, creativity, and patience. Can NextDoor be leveraged for farming leads? The answer is yes! The key to farming on NextDoor is to understand the unwritten rules for agents: be helpful or informative and don’t be too salesy. Your goal is to build long-term relationships and assert yourself as the neighborhood expert. You can accomplish this by sharing neighborhood updates, community events, answering questions on your neighborhood feed, recommending services in your network, and more. The more quality messages you post, the faster you will build and develop trusting relationships with your neighbors. You will become more popular as you establish yourself as the neighborhood expert. Your neighbors will learn about you and start recognizing you on their own. Instead of having to promote yourself, they’ll discover you’re an agent through 2 ways: you share a link to a relevant blog article that drives traffic to your website and answers a neighbor's question, or they discover it on their own by seeing your signs and advertisement around town. In my opinion, you should not outright promote yourself on NextDoor because your neighbors won’t like it. Your neighbors did not join the network to be sold products and services, they joined to be part of a community that shares stories and ideas. As the neighborhood expert it’s your duty to lead that community. Once your neighbor organically learns that you’re a real estate agent, ask them for their contact information. Your neighbors can become your greatest evangelists! Your reasons will vary but if you need to overcome challenges for getting their contact, you can always say that you want it in case of an emergency. Add the contact to your database and assign them to a cold-lead email nurturing campaign. You should also find them on Facebook. When you do, send a friend request from your personal Facebook Page and then invite them to LIKE your Business Page. Now that your neighbor is lead and a fan, you can nurture them through your email campaigns and the content you post on Facebook! 2. 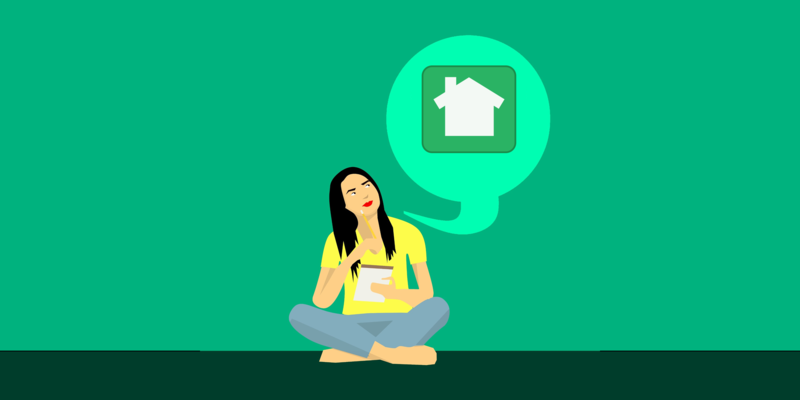 Can you promote an open house on NextDoor? You can also leverage NextDoor to drive foot traffic to open houses in your neighborhood. However, you can only promote an open house if you have clout as the neighborhood expert and add a creative twist to it. For example, you can host a “happy hour/open house” where you have food and drinks available for guests. As a bonus, you can host a “pre-game screening/open house” for one of your favorite television shows such as Game of Thrones, the Bachelor, West World, or a sports game. When you promote your “happy hour/open house” on NextDoor, the key is to focus on the “happy hour” aspect of the open house. You can say something along the lines of, “I usually waste all the food after these open houses, so stop by if you get hungry or want to chat and have a drink” – be creative and add your own flare to get people there! Please keep in mind, every neighborhood is different, and your farming results will vary! Looking for a better lead generation website?